In the event industry, engagement is one of the most important measures of success. When you’re thinking about how exactly you plan to boost engagement, remember that event apps have a huge impact on the attendee experience, offering the ability to impact engagement in many ways. Before you decide how you want to approach your next event app, let’s review four tips to make sure you make the right investment. Have you been using the same app and customization features year after year? If so, whether it’s due to budget restrictions, or an upper management team that is set in their ways, it may be time to take a closer look at the results. Analyze any event data that you may have and survey your attendees to find out if your event app is meeting expectations and needs. Be honest with yourself and your team. Remember, even feedback that feels negative will help you revamp so that your event doesn’t become stale. You may even find that making small enhancements within your current app could do the trick. 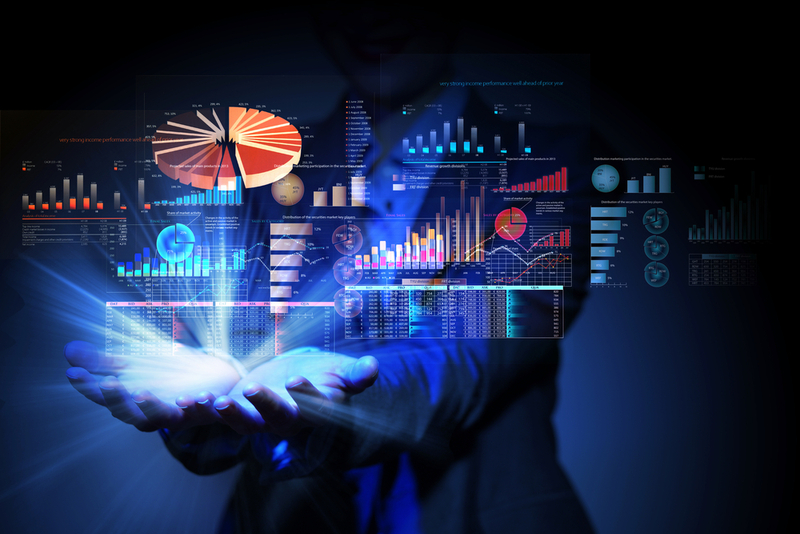 Making your app investments based on data is always a smart move. How exactly do you want to customize your app? This is a good place to start thinking about how you want to incorporate your app as part of your event — starting with the purpose versus features. Event apps are fantastic tools for handling logistics. They make it easy to provide your guests with an organized schedule for the day and if that is all you need, then a basic event app may be best. However, as your event needs start to take shape, you’ll get a feel for which advanced functions you may want to incorporate. With attendee engagement as the top priority, you’ll want to explore investing in customization options around matchmaking, live polling, social media, real-time and on-site data, promoting guest speakers and sponsorship. 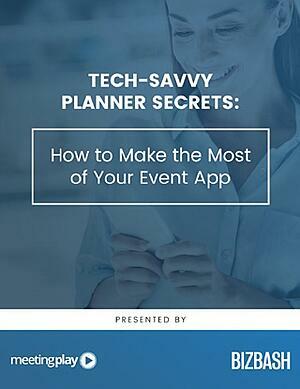 2/3 of super users have a dedicated app for every event they plan. 1/3 of super users spend $5,000 or more per app. 3/4 spend more than $25,000 annually on event technology. More than half of these planners indicated that their investment in technology will increase over the next 12 months. These days, attendees expect an awesome event app. Super users understand this and act accordingly. They make investments in more expensive features like enhanced networking and matchmaking. These successful planners don't settle for bare-bones apps — they use apps to answer specific needs of their attendees, and create a much more engaging and delightful event in the process. Today, there are seemingly endless event app solutions available in the market. They range from DIY with limited functionality to highly customizable options. Prices ranges from under $1k to $50k+. 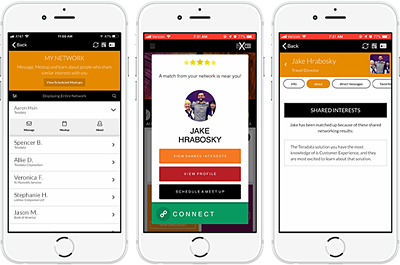 For example, our MeetingPlay app starts at about $5k and can increase in cost, depending on your number of events and customization needs. Before kissing your app budget away, be sure to talk with your tech provider and gain a solid understanding of how they will meet your specific event app needs. Once you make a decision on the right app investment, you can enjoy the process of creating and launching an awesome app! If you’re looking for more in-depth advice on apps and event tech, subscribe to the MeetingPlay blog. And as always, if you want to talk it over with an expert, don’t hesitate to schedule a free demo!